« IRON MAIDEN – First, Official IRON MAIDEN Graphic Novel Releases On October 9th! 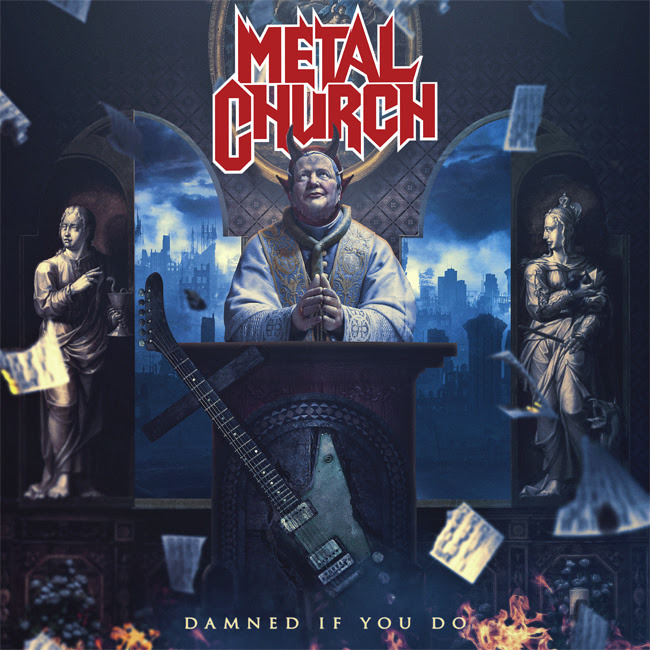 METAL CHURCH “Damned If You Do” – Releases On December 7th, 2018, Via Rat Pak Records! West coast metal veterans Metal Church will release their 12th full length studio album Damned If You Do via Rat Pak Records on December 7, 2018 and will also be available in Europe via Nuclear Blast and Japan via KING Records. The latest release is the follow-up to their highly successful 2016 album “XI”, which saw the return of legendary front-man Mike Howe. Damned If You Do is a cross between the band’s iconic Blessing In Disguise and The Human Factor. This new offering features ten fully-charged, classic-metal influenced songs that showcase the sound that has garnered the band a solid fanbase for over 3 decades. Kurdt Vanderhoof comments: “I feel this album is a very powerful statement to what Metal Church has always been about. A tough and aggressive old school metal album while maintaining a level of musicality and melodic sensibilities”. Damned If You Do also features new drummer Stet Howland (ex WASP / Lita Ford). Stet first arrived after the departure of long-time drummer Jeff Plate, but soon after joining the band was diagnosed with diffuse large B-cell lymphoma. Miraculously his treatments for the aggressive non-Hodgkin lymphoma worked and he was able to begin recording the new album. Damned If You Do is something truly unique and special. The songs are powerful, precise, and Metal Church’s musical vision is unified. From the haunting opener “Damned If You Do” to the final hard-edged track “The War Electric,” this new album is sure to resonate with fans from the band’s early years while garnering new ones. Songs like “By The Numbers,” “Guillotine” and “The Black Things” are sure to become instant favorites! This entry was posted on October 4, 2018 at 9:35 pm and is filed under Hard Rock, Heavy Metal, Music, music news, news, rock music, world news with tags Heavy Metal, metal albums 2018, Metal Church, metal odyssey, music news. You can follow any responses to this entry through the RSS 2.0 feed. You can leave a response, or trackback from your own site.